From The New Criterion. September 30, 2014. There’s always something to be learned when the media criticize "the media" — a phenomenon that is rarely if ever to be confused with self-criticism. In the media, the expression "the media" can mean, and in fact usually does mean, nothing more than some unnamed and probably less- credentialed persons belonging to outlets lower down in the carefully calibrated hierarchy of media respectability who, if they’re not careful, will give their more elevated brethren as bad a name as their own among those untutored in making such fine discriminations among hacks. Here, for example, is the essence of a Washington Post editorial headed: "The real Ebola risk is to Africa, not the United States." The hysteria and hype over the return to the United States of aid workers Kent Brantly and Nancy Writebol, both infected with the Ebola virus in Africa, has been way over the top. News and social media portrayed them as some kind of pathogenic juggernauts who might carry a horrible condition to our shores. This unthinking reaction is the opposite of what is called for. . .With a well-developed public health infrastructure, the virus is not likely to become a contagion in the United States. Tom Frieden, director of the CDC , noted over the weekend that the single most important thing that can be done to protect Americans is to stop Ebola at its source in Africa. That’s where the attention is needed. Let us put on one side the grammatical muddle caused by the use of the semi-conjunctive preposition "with," implying that it is the virus which has a well-developed public health infrastructure rather than the United States, and concentrate instead on some of the passage’s other linguistic curiosities. I can see why, for instance, it might be "unthinking" to portray Ebola sufferers, in their weakened condition, as "juggernauts," though I seriously doubt that anyone has actually done so. But how does mere thinking, by those who decline to be unthinking, nullify the simple truth that they "might carry a horrible condition to our shores"? What the editorialist no doubt means to say is that the risk of contracting the disease is much greater for Africans than it is for Americans — at least for Americans in America. But writing that would have sounded too banal, too unremarkable, I suppose. Everyone knows it already and, anyway, it’s more in keeping with the idiom common to today’s journalistic élite to make one’s points by attacking someone else, even if it is an anonymous someone fitted up for the role of straw man by some such egregious fault as giving way to "hype" or "hysteria" or going "way over the top" — something that may thus be as true of the critic as of the criticized. Fortunately, we know who the guilty parties are because the Post’s principal snark dealer, Dana Milbank, made it clear in a column the next day. They were the cable news networks CNN and Fox News, always a favorite target for those, like Mr Milbank, who see themselves as coming out of the journalistic top drawer. His easily-roused indignation had been taken out for a run that day on behalf of some African leaders who had come to Washington for a summit meeting. Since most of them were from countries which had had no outbreaks of Ebola fever and were in many cases thousands of miles away from the nearest case of it, they had sometimes treated questions about the disease at the few summit events open to the media as ignorant annoyances. Mr Milbank treated them the same way. As if in illustration, he quoted Macky Sall, the president of Senegal, to the effect that Ebola "is not an African disease. You have to see this virus as a threat against humanity." The columnist didn’t appear to have noticed that Mr Sall had said just what the hype merchants had been implying about the disease. Mr Milbank’s other target in the piece was the Obama administration whose summit managers had put so many of its events off limits to the press. It also didn’t occur to him that there was any contradiction between this criticism and the earlier one. But if cable news was as bad as he and others at the Post were claiming, they could hardly be surprised at the imposition of restrictions on the press. The point of his column, however, was as always the sneer of self-regarding intelligence at that which could plausibly be represented as stupidity. In the same spirit, frequently to be met with among the liberal-minded, Mike Luckovich of the Atlanta Journal-Constitution drew a cartoon depicting four unnamed but presumably representative hysterics giving vent to their fears about Ebola and one spokesman for the Centers for Disease Control saying: "We can’t contain the idiocy outbreak. . ."
Idiocy? When did that become something to be feared and hated more than the horrible disease that the alleged idiots idiotically feared and hated? A case could be made that it was in the George W. Bush administration, some time prior to the day in 2004 when the eight-year-old son of the British sociologist Frank Furedi came home from school to announce: "Daddy, I really hate Bush." When asked why he hated the American president, the child replied: "Because he’s so stupid." Obviously, this kid was himself no fool and had already gathered from his presumably desultory perusal of the media that stupidity had by that time become the only permissible grounds for hatred — and a hatred often making up in virulence for what it lacked in such traditional objects as race, class, nationality or sexual orientation. To be properly hated, the stupidity had to be overblown and given a moral taint, which was the point of redefining the Bush administration’s mistake in citing the danger from Weapons of Mass Destruction in Iraq as a reason for its invasion of that country as a "lie." I don’t think it is quite fanciful on my part to see a hint of moral censure, too, in that Post headline: "The real Ebola risk is to Africa, not the United States." The word "real" there doesn’t mean "greater." If it did, the sentence would be unexceptionable, but the word would not have caught the eye in quite the same way that "real" does. "Real" implies, as it nearly always does when one encounters it today and as the piece itself does, that whatever unreality it is being contrasted to — in this case the risk of Ebola to those of us living in the United States — is entirely illusory. That, in turn, implies a quasi-scandalous revelation by the speaker or writer of some false front erected by presumptive deceivers, people whom it is the mission of our correspondent to expose. I think we might even be able to detect a similar sense of mission lurking somewhere beneath the cable news hype about the horror to be feared from the advent of Ebola and its sufferers on American shores. Surely such people are only following the ancient practice of The Washington Post and other élite media outlets in mistrusting officialdom’s emollient assurances that there is no danger to Americans from this foreign virus — even when such assurances come from Obama-era officialdom’s new best friends at the Washington Post. Interestingly, according to Wade C.L. 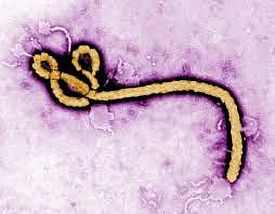 Williams, writing from Monrovia in The New York Times, the Liberian government’s attempt to suppress the media’s coverage of the Ebola outbreak there contributed to its spread. Obviously, there could be no such heavy-handedness on the part of our government, but the media’s treatment of it as a meta-story — that is, as a story about the treatment of the story by "the media" — could ultimately have the same effect. There may be another lesson or two to be learned from this small media fuss made out of an even smaller media fuss. It lies in the extent to which public discourse in general has lost touch with reasoned debate — always assuming that it was ever much in touch with same — and become instead merely a forum for the leveling of charges and countercharges of stupidity and bad faith between warring factions aggrieved by ill-treatment, real or imagined, by the other side. Neither the Post editorialist nor Mr Milbank were addressing their words, different in tone as they were, to the objects of their criticism but to the fellowship of Post readers who they could assume would be on their side against the latest enemy in a perpetual phony war against outsiders deficient either in intelligence, good taste, empathy with the oppressed or progressive principles — or some combination of all four. Readers in their turn, assuming there are any, must be in search only of reassurance that they are quite right to support the side they are already supporting. The decline of general interest publications such as newspapers and the advance of those with a clear partisan identification makes for a constant temptation to those former, such as the Post, to jump in to the partisan fray where the majority of their readers are already engaged. Without some knave or fool from the wrong side in their sights, editorialists are simply lost nowadays, as The New York Times’s editorial on the Ebola outbreak showed. Lacking a clear-cut villain — though drug companies were given a bit of a cuff along the way, for not trying very hard to find an anti-Ebola drug because there wouldn’t be enough profit in it — the piece had nothing to say that could have been of interest to anyone. But the previous day the Times had also run a cartoon, by Brian McFadden, showing someone from the CDC in a moon-suit warning of the things we should be panicking about instead of Ebola — things chosen from the progressive hate list like agri-business, the gun lobby and those who demand enforcement of immigration laws. Ah, now we know where we are again! The latest turn of the screw in Iraq (she wrote) also underscored how we keep getting pulled back, Godfather-style, without ever understanding the culture. Our boneheaded meddling just creates ever-more-virulent monsters. The United States has taken military action in Iraq during at least 17 of the last 24 years, the ultimate mission creep in a country smaller than Texas on the other side of the world. What better symbol of the Middle East quicksand than the fact that Navy planes took off for their rescue mission — two years after Obama declared the war in Iraq over — from the George H.W. Bush aircraft carrier in the Arabian Sea? Bush Senior’s war to expel Saddam from Kuwait — a gas station of a country chockablock with spoiled rich Arabs — would not have been necessary if Saddam, a tyrant first enabled by J.F.K.’s C.I.A., had not been given the wrong signals by our side. W.’s war with Saddam, the prodigal son’s effort at outdoing his father, ended up undoing Iraq and the neglected Afghanistan. The implication of so much unrelieved stupidity on the part of those the American people unaccountably persist in electing to lead them instead of obviously much brighter columnists for The New York Times is that the stupid people are in the grip of some mysterious madness which makes them even more stupid and incapable of learning from their mistakes. "Iraq, after all," she concludes, "is a country that seems to have a malignant magnetism for our leaders" — which also lets the current leader somewhat off the hook with which the previous American presidents have been skewered. For three years, President Obama has declared himself the man who closed the door on a dark decade of U.S. war in Iraq. Now he has opened the door again. Other than insisting no U.S. combat troops will return to Iraq, Obama's advisors outlined few clear limits and no definitive end to America's latest military mission, which began Friday with airstrikes against Sunni militants and drops of humanitarian aid. Given Obama's stated reluctance to use military force in Syria and other hot spots, the White House faced pressure to explain why Iraq was different, what airstrikes would achieve and whether Obama was launching a new phase of an old war. Also much on people’s minds at about the same time was what some were calling "the Obama Doctrine" as reported by The New York Times in May: "Don’t do stupid s***." Anyone foolish enough to make mere intelligence his criterion of governance is just asking to be discredited when, as he is bound to do sooner or later, he does something stupid. That Mr Obama had done something stupid over Iraq was implied by a questioner at the presidential news conference announcing his action there: "Mr President, do you have any second thoughts about pulling all ground troops out of Iraq? And does it give you pause as the U.S. — is it doing the same thing in Afghanistan?" Understandably, Mr Obama didn’t like the implication that he might not have been as brilliantly intelligent as everyone has been telling him he is for most of his life. Not one little bit. He answered that "that entire analysis is bogus and is wrong. But it gets frequently peddled around here by folks who oftentimes are trying to defend previous policies that they themselves made." That was obviously a swipe at those from the Bush administration, notably including former Vice President Cheney, who had sought to attribute the undoubtedly disturbing atrocities being committed by the ISIS forces in Iraq to his failure, on the withdrawal of American troops there, to leave a residual American force to reinforce the woefully incapable Iraqi national army. Equally obviously, there could be no comparison between this stupidity, even assuming it were stupidity as the President insisted it wasn’t, and the presumptive stupidity of getting involved in foreign wars in the first place: something that commemorations of the hundredth anniversary of the outbreak of World War I in Europe made others besides Miss Dowd more likely to take for granted. That war, as is now well-established in the media and most of the historical profession, is the very prototype of the "dumb war." And yet, somehow, we continue to argue about its dumbness a century later. It’s enough to make you think that what’s dumb is the assumption, now so much more widespread than it was in 1914, that those with whom we disagree are simply dumb.